"Of all Mr. Eaton's endeavors, the one to which he was most dedicated in his later years was the quest for international friendship, disarmament and peace. In this work he had the full collaboration of his second wife, Anne Kinder Eaton." 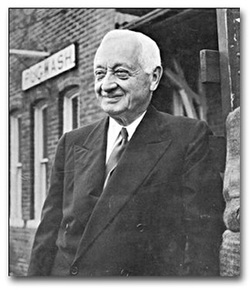 In 1963 Cyrus S Eaton was nominated for a Nobel Peace Prize by Lord (John) Bowd Orr of Brechin (recipient of the 1949 Nobel Peace Prize) for "his contribution to organizing the "Pugwash-conference" with participants of well known scientists" from both sides of the Iron Curtain.